Cape Town – This year’s allocation of byes being kinder to the Stormers could aid their Super Rugby 2015 challenge, according to senior player Schalk Burger. The veteran Springbok and former captain of the franchise told Sport24 on Wednesday that he felt the looming “off” weekend – after they have hosted the Chiefs in a key match at Newlands on Saturday – comes at an opportune time for the team. Burger was attended a press conference linked to his nomination for this year’s Laureus World Sports Awards in the “Comeback of the Year” category where he will vie with five others for the mantle at the globally-televised banquet scheduled for Shanghai on Wednesday, April 15. He joked that it would mean “only having to do two training sessions” for the Stormers’ closing overseas tour match against the Force in Perth, as the ceremony -- which he has understandable leave of absence to attend -- comes between that game and the Cape team’s earlier fixture against defending champions the Waratahs in Sydney. 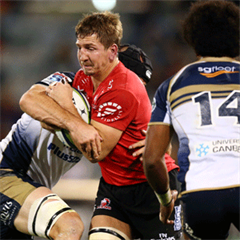 Burger has only been back on familiar turf for a few days since his return from Japanese club rugby, and made a deafeningly-greeted comeback off the bench in last Saturday’s victory over the Sharks at Newlands. Considering there is only one more opportunity, against the Waikato outfit, for him to get back into best Super Rugby groove ahead of the bye, isn’t it badly timed for him personally? “No, not really. I’ve been involved in rugby fairly non-stop for the last 18 to 20 weeks so it’s not bad for me or the team. That makes a pleasant change for the franchise, as they are no strangers to the counter-productive phenomenon of a first-round bye, which then means much longer, murderous hauls of uninterrupted rugby during the already taxing competition. This year their longest, seven-week stint of fixtures Burger referred to includes the four-match overseas leg, and they will have the chance to freshen quite nicely soon thereafter with a weekend off ahead of an attractive-looking run-in to possible finals series participation featuring the Rebels (home), Cheetahs (home), Lions (home) and Sharks (away). “We must try to finish this particular little phase of the season on a high by beating the Chiefs this weekend,” Burger said. 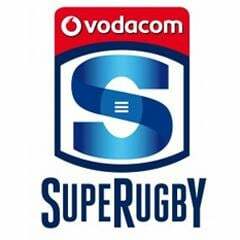 “Super Rugby is about momentum and we have some right now, though we are careful not to get ahead of ourselves. He admitted that he had been forced to remodel his game since his most recent massive injury/health setbacks – he nearly died from bacterial meningitis -- though pointed out that the necessary tweaking had already begun in 2006, when he had a neck fusion operation and there was doubt even then that he would play rugby again. “You’ve got to gradually learn to pick your moments; bring some subtlety to your game. You’ve got to fight above your weight now in the cleanout, or in making a positive hit on a player. Former Bok and Western Province captain and Laureus Academy member Morne du Plessis said: “Schalk fits the mould of what Laureus is all about – using sport to change people’s lives.